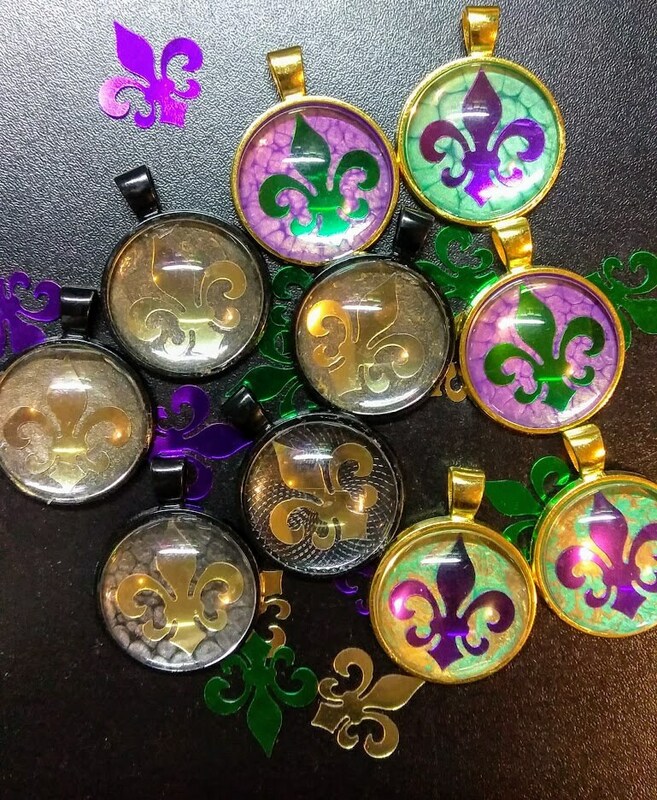 It's Mardis Gras time and these little beauties are perfect for the New Year!! 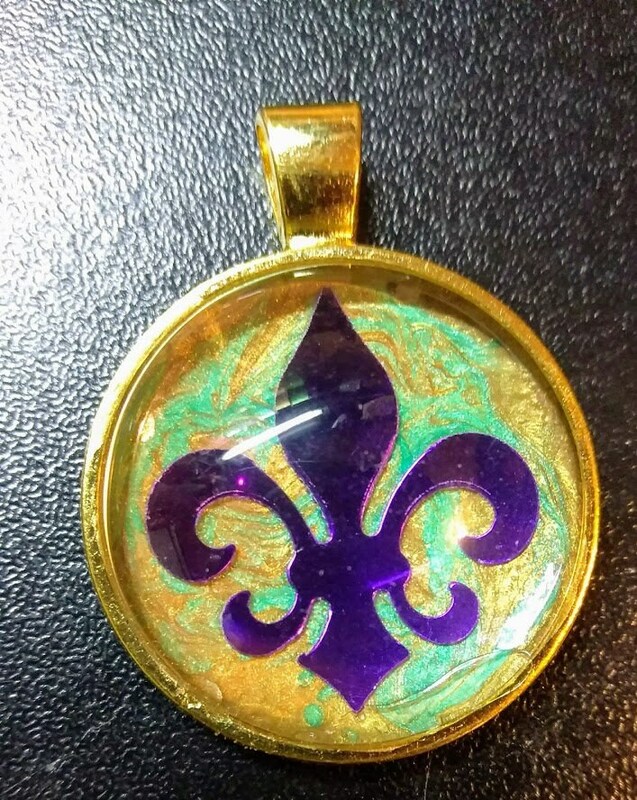 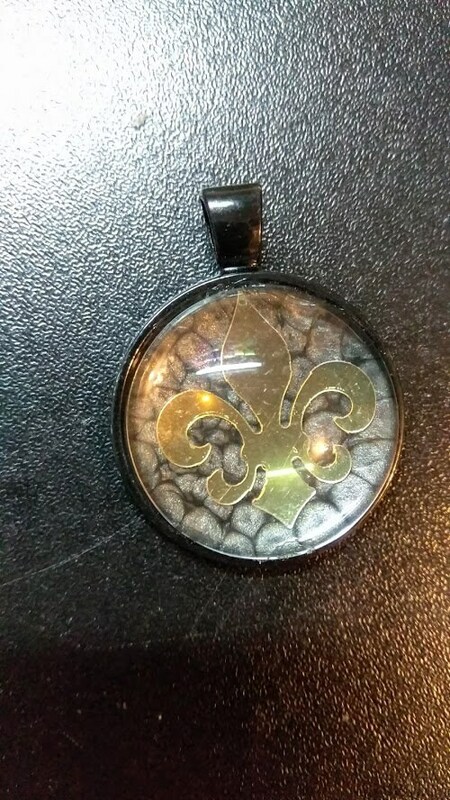 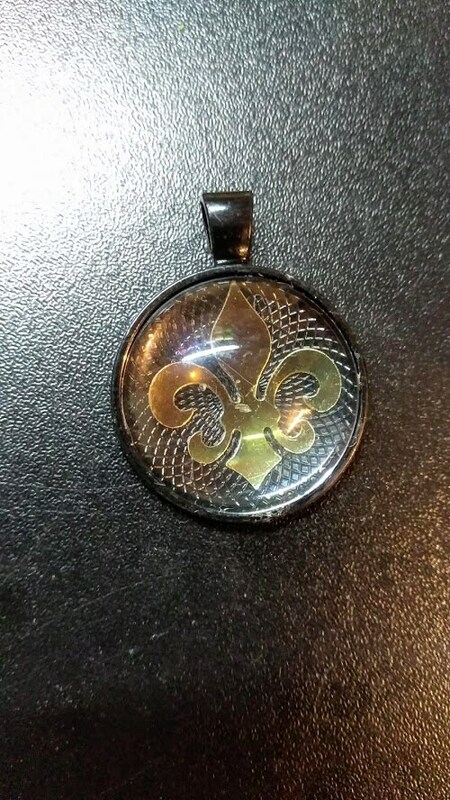 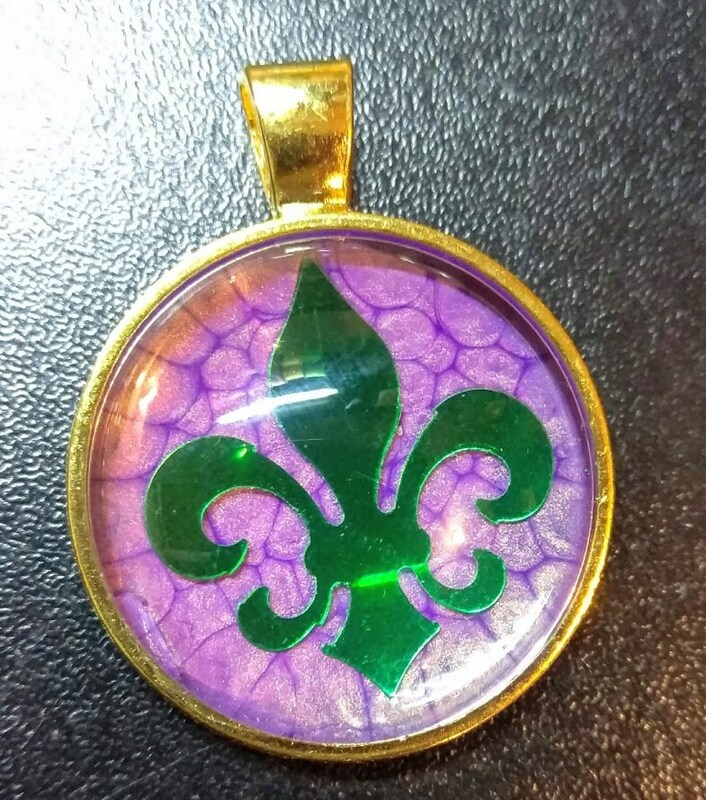 Bring in spring with Fleur De Lis resting in the center of this charm. 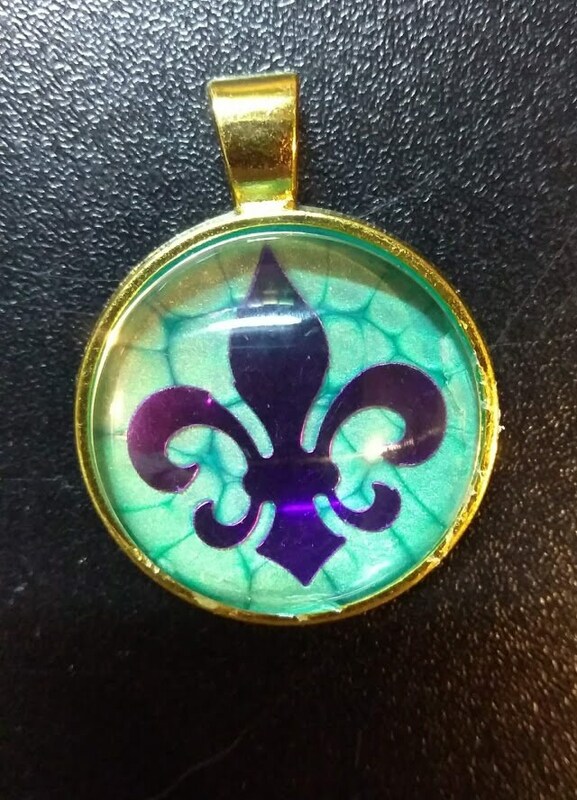 Charm is 1 inch round and comes with a matching 24-inch cable chain.